Published on August 2, 2017 in Daily Dirt, Equipment & Products and National. Closed Tags: Chainsaw, construction, construction industry, contractors, cordless, Cordless chainsaw, cordless power tools, Demolition, DeWALT, DEWALT 20V MAX, DEWALT FLEXVOLT™, DEWALT tools, jobs. DEWALT® continues to expand its 20V MAX* System, totaling over 100 products, with the 20V MAX* Compact Cordless Chainsaw (DCCS620). Specifically designed for use in construction applications, the chainsaw is a versatile option for tree work, cutting timbers, or demolition on a jobsite. The 20V MAX* Compact Chainsaw features a 12 in. Oregon® bar and chain that offers low kickback cutting in compact spaces as well as tool-free tensioning and auto-oiling. Equipped with an efficient brushless motor, the chainsaw achieves up to 90 cuts per charge using a 20V MAX* 5.0 Ah Lithium Ion battery (DCB205) on 4×4 inch pressure-treated pine wood. At only 9 lbs. (including the DCB205), the chainsaw is lightweight and optimized for small cuts in tight spaces. The chainsaw starts with the pull of the trigger, eliminating the cold starts and carburetor issues that come with gas-powered chainsaws. Its gas-free operation also makes the 20V MAX* Chainsaw ideal for indoor cutting and demolition applications. Available in September 2017, the Chainsaw joins the expanding 20V MAX* Outdoor Power Equipment family which already includes a 20V MAX* String Trimmer, Handheld Blower and Hedge Trimmer, and the FLEXVOLT® Outdoor Power Equipment family including the 60V MAX* FLEXVOLT® String Trimmer, Handheld Blower and Chainsaw for high-power applications. 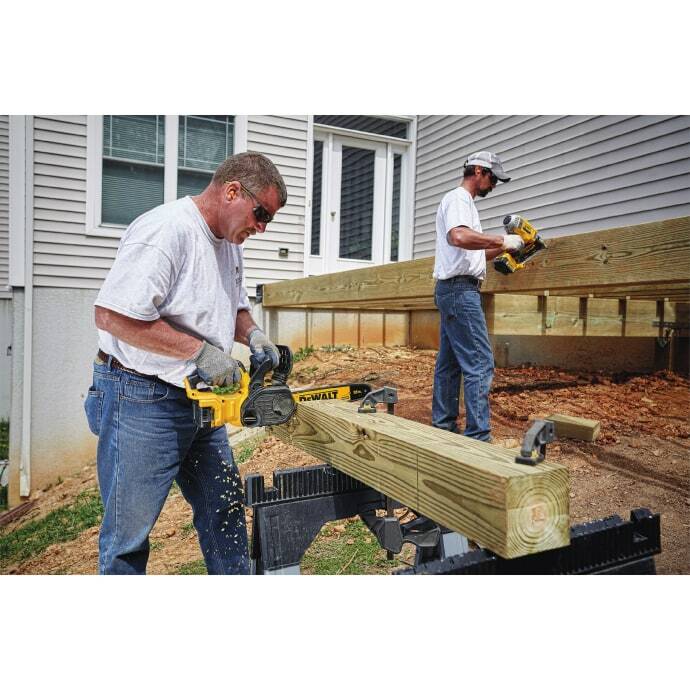 DEWALT Outdoor Power tools come standard with a three-year limited warranty, one-year free service contract, and 90-day money-back satisfaction guarantee. OREGON® is a registered trademark of Blount, Inc. 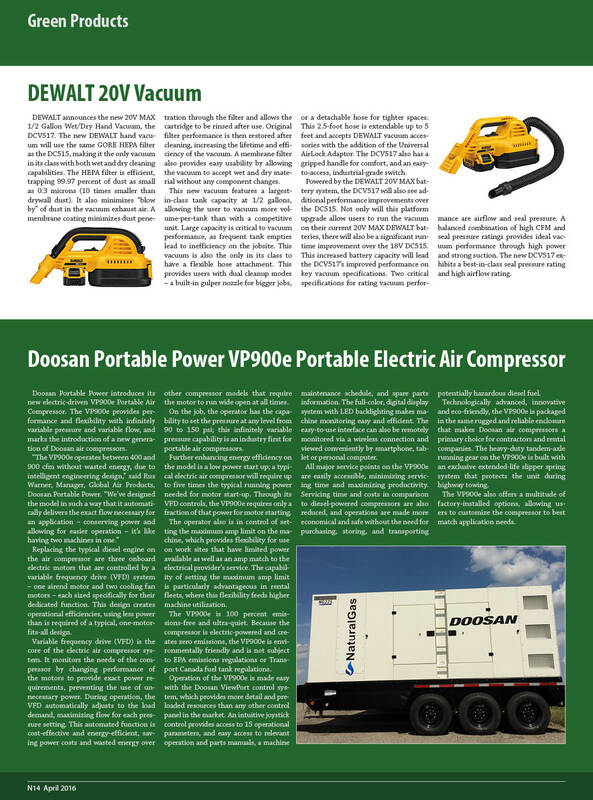 Published on May 19, 2017 in Equipment & Products and National. Closed Tags: construction, construction industry, contractors, cordless, cordless power tools, DeWALT, DEWALT 20V MAX, Nailer, tools. 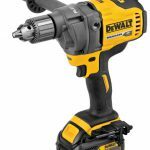 DEWALT® is rapidly expanding its 20V MAX* System to include a total of seven cordless nailers for framing, flooring and finishing applications. 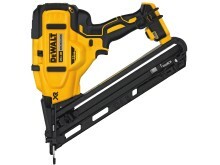 Following the recent launches of 16 GA Angled Finish Nailer (DCN660), Metal Connector Nailer (DCN693), and 30 Degree Framing Nailer (DCN692), the new cordless nailers include the 18 GA Brad Nailer (DCN680), 18 GA Narrow Crown Stapler (DCN681), 15 GA Angled Finish Nailer (DCN650), and 18 GA Flooring Stapler (DCN682). The 18 GA Flooring Stapler is the world’s first battery-powered pro-grade flooring stapler. Each of the new cordless nailers is exclusively battery-powered, eliminating the hassles of using gas, compressors, and hoses. For both large and small jobs, the cordless nailers offer features found on of pneumatic tools including micro-noses (DCN680, DCN650), tool-free depth adjustment, tool-free selectable trigger, and low nail lockout, all with the freedom of cordless. Designed to be used as primary tools, the nailers are lightweight and compact. Common applications include decorative molding, kitchen moldings, staircases, shoe molding, baseboards, cabinet and furniture building, crown molding, engineered flooring, solid hardwood flooring, and more. Other features of the nailers include a paddle trigger (DCN682) and multifunctional LED lights. The 18 GA Brad Nailer (DCN680) drives 18 GA brad nails from 5/8” to 2-1/8” and incorporates a micro-nose that improves line of sight and accuracy of nail placement**. The 18 GA Narrow Crown Stapler (DCN681) drives 18 GA 1/4″ Narrow Crown Staples from 1/2” to 1-1/2” and provides versatility for a wide variety of projects. The 15 GA Angled Finish Nailer (DCN650) drives 15 GA “DA” Angled Finish Nails from 1-1/4” to 2-1/2” and also includes a micro-nose for improved sight and accuracy of nail placement***. Finally, the 18 GA Flooring Stapler (DCN682) works with 1/2” to 1-1/2” fasteners and can achieve up to 1,500 staples per charge using 18 GA 1/4″ Narrow Crown Staples into flooring that’s between 3/8” and 5/8” thick (when used with DEWALT battery DCB204). 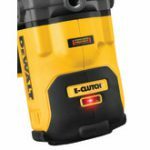 These additions to the 20V MAX* System from DEWALT, which now totals over 100 products, feature efficient brushless motors. 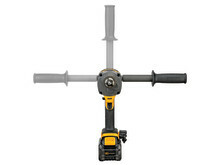 In addition, the cordless nailers are complemented by a full line of compatible fasteners (sold separately). Available where DEWALT products are sold in spring 2017, the 20V MAX* Cordless Nailers from DEWALT will come standard with a three-year limited warranty, one-year free service contract and 90-day money-back guarantee. Published on February 12, 2017 in Daily Dirt and Equipment & Products. Closed Tags: construction, construction industry, contractors, cordless, Cordless chainsaw, cordless handheld blower, cordless string trimmer, DEWALT 20V MAX, DEWALT 40V MAX, DEWALT FLEXVOLT™, DEWALT tools, equipment, jobsite, Outdoor Power Equipment. 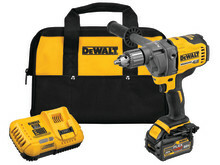 DEWALT® expands the FLEXVOLT® System with Outdoor Power Equipment. Featuring the world’s first batteries that automatically change voltage when the user changes tools, the Outdoor Power Equipment lineup will include the new 60V MAX* Chainsaw, Handheld Blower, and String Trimmer, all featuring the new FLEXVOLT® 60V MAX* 3.0Ah battery (9.0Ah when used in 20V MAX* tools). 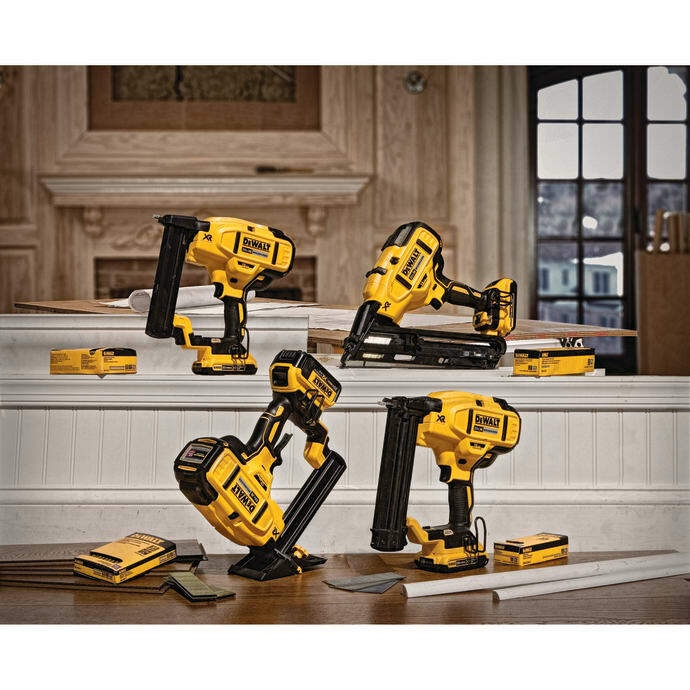 For residential and commercial construction professionals, the FLEXVOLT® System is backwards compatible with most of the existing DEWALT 20V MAX* system, which now includes over 100 products. This means that the FLEXVOLT® Batteries operate both the DEWALT 60V MAX* Outdoor Power Equipment as well as DEWALT 20V MAX* Power Tools. The 60V MAX* Chainsaw (DCCS670X1) is equipped with a powerful brushless motor delivering gas performance. The low kickback 16” Oregon® bar and chain has auto-oiling for continuous lubrication and a tool-free tensioning system for quick bar and chain adjustments. The chainsaw delivers smooth cuts, long chain life, and does not have the engine maintenance that is required with gas-powered chainsaws. 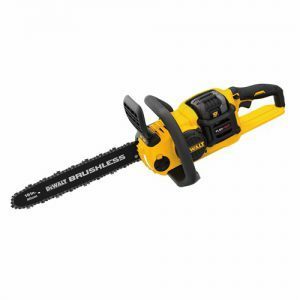 With no more cold starts and carburetor issues, this chainsaw starts easily with the pull of the trigger. Its tool-free chain tensioning and bar tightening knob enable proper bar clamping force, and it features auto-oiling for continuous lubrication. It has a 60V MAX* FLEXVOLT battery that powers 60V MAX* tools or it can be backwards compatible to work with 20V MAX* tools. The 60V MAX* Handheld Blower (DCBL770X1) is also equipped with a brushless motor which generates gas performance to clear jobsite debris at up to 423 CFM & 129 MPH. The Handheld Blower also includes a flat concentrator nozzle to increase air speed to 175 MPH for heavy duty debris. A variable speed trigger and lock allow for full throttle control without having to constantly hold down the trigger. It features a variable speed trigger and speed lock for total power control, and its lightweight and ergonomic design maximizes control and minimizes stress on your arms. It has a 60V MAX* FLEXVOLT battery that powers 60V MAX* tools or it can be backwards compatible to work with 20V MAX* tools. The 60V MAX* String Trimmer (DCST970X1) features a 15” cut swath accepting DEWALT 0.080” or 0.095” lines and a gear-drive transmission providing amplified torque that maintains cut speed under load. Optimal for construction cleanup and maintenance, the 60V MAX* Outdoor Power Equipment allows residential & commercial construction users to leave the gas tank behind and expand their DEWALT power tool and battery systems. The new 60V MAX* Chainsaw, Handheld Blower, and String Trimmer will be available where DEWALT products are sold in spring 2017. For professional landscapers, the DEWALT 40V MAX* System offers a battery solution for daylong, heavy-duty outdoor use. All DEWALT Outdoor Power tools come standard with a three-year limited warranty, one-year free service contract, and 90-day money-back satisfaction guarantee. With respect to 40V MAX* – Maximum initial battery voltage (measured without a workload) is 40 volts. Nominal voltage is 36. 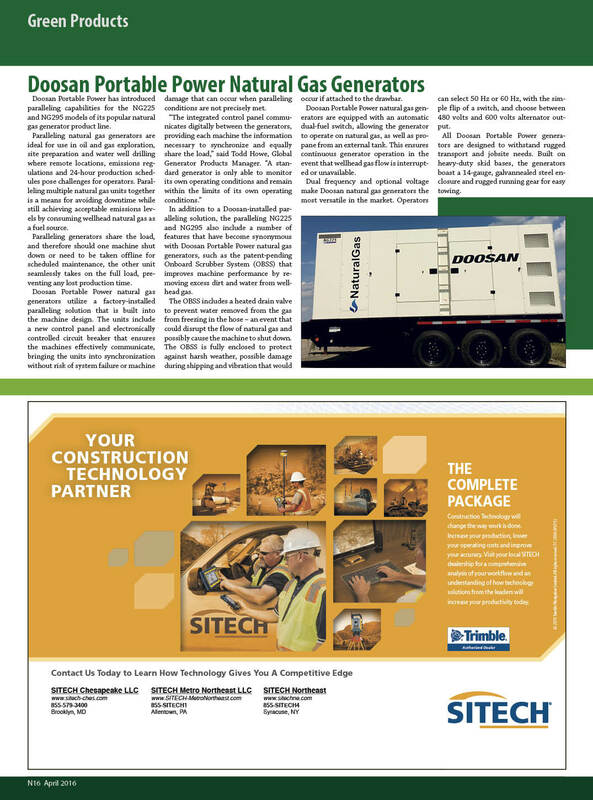 Published on May 14, 2016 in Equipment & Products and National. Closed Tags: 20V, construction industry, contractors, cordless, cordless vacuum, DeWALT, doodles shop vacuum, jobsite, shop vacuum.